As the season begins to change, it’s an exciting time for craft beer, and even more so for its popular fall cousin—hard cider. 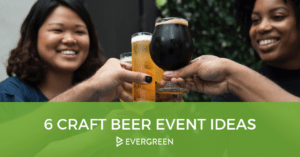 This type of brew is one of the most universal styles in autumn because it appeals to both craft beer connoisseurs, as well as non-beer drinkers. The popularity of hard cider is swiftly on the rise, as more breweries are creating sub-styles of hard cider every year. Before stocking and serving a brand this fall, it’s important to understand a few key notes about the style. Although hard cider can be traced back to the Romans, it gained popularity in America when the first settlers planted apple seeds from England. The cultivation of barley and other grains did not take to the soil as well as apple trees, and thus it was easier to brew hard cider than beer. John Adams is said to have sippedt on a cider every morning, and there were times in American history when it was the preferred drink of choice—even over water— because of contamination risks. By the 18th century, New England was producing more than 300,000 gallons of cider per year. German and Eastern European immigrants eventually brought beer to America, and the popularity of cider waned. 100 years later, it is now on the rise again, as globalization brings apples to all corners of the country. The most common category of ciders sold commercially are draft ciders. Served in bottles, these types can be diverse, but they are all made through the same process. The flavor of ciders can vary, with most being classified as dry to sweet. Many styles of hard cider can be described as sour and acidic, and a clean cider should taste like nothing more than carbonated apple juice. Ciders are usually amber/caramel colored and range in ABV from 4-7 percent. Hard ciders are usually bottled, with a dash of sugar added for sparkle. When the cider is bottled, it allows for natural carbonation, and thus this is the main method of serving. Ciders can also be bottled like champagne or served in a can. The best glass to serve a cider in is a wine glass with a good sized bowl to allow for swirling. This releases aromatic compounds in the cider and captures them at the narrow top. 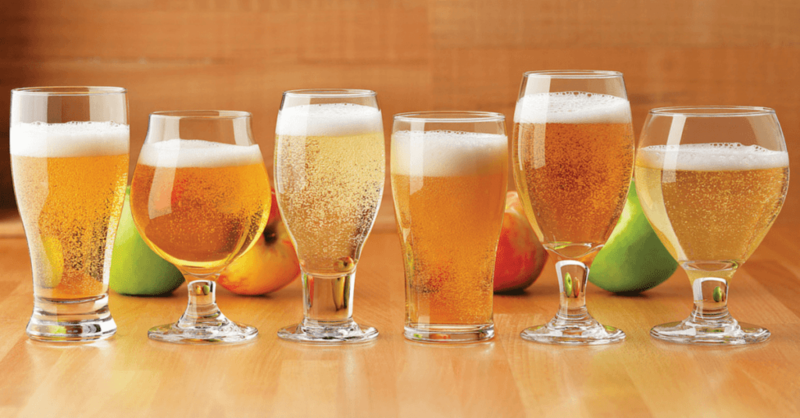 Some people may not want to drink a cider out of a wine glass, but it is important to let your patrons know the reason for the glassware, or simply acquiesce them with a pint glass. Each year, more and more hard ciders are released on the market, and it can be difficult for a bar or restaurant owner to know which labels will work best in their establishment. A cider laced with ginger, the flavors work well together and give this brew a little kick. For having a ginger component, it is said to go down surprisingly easy. With a flavor profile balanced between sweet and dry, this cider is said to taste similar to a mimosa. A honey sweetness and cloudy effervescence make this brew a perfect pairing for brunch. There are literally hundreds of hard ciders on the market. If you are serving a cider in a pairing menu, you may want to further research which styles pair best with which plates. The United States Association of Cider Makers holds an annual event called CiderCon in Portland, Oregon—specifically for those looking to explore this popular fall style. Much like the annual Craft Brewers Conference, it is the biggest event out there for cider brewers. This year attracted more than 1,000 people from 44 states and 5 countries, and the event continues to grow. With 18 million total cider drinkers in the US, this is a style worth investing in. In 2015 alone, cider generated approximately $1 billion in retail sales. It is incredibly popular during the fall season, as that’s when the ingredients are harvested. So why not take advantage of the bounty? If you’re going to stock your bar, you need a superb marketing tool to get the word out. TapHunter is a software program that can facilitate managing your new cider selections with incredible speed and efficiency. They can help you display in-house digital drink menus that can be changed with ease from a user-friendly dashboard. You’ll never have to deal with chalky hands again! 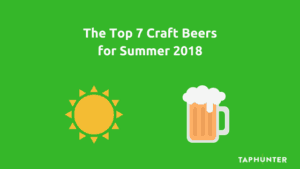 As “craft” becomes a common term around brewed beverages, the implication is that there is going to be quite a variety of styles. Pay attention to your customer base, the seasons, and the food you serve. These are just a few key indicators you can use to select a hard cider that works best for your bar. Remember ciders are a sure shot during the fall. After all, if an apple a day keeps the doctor away, maybe a hard cider can keep him away for a week—and keep your patrons coming through the door!